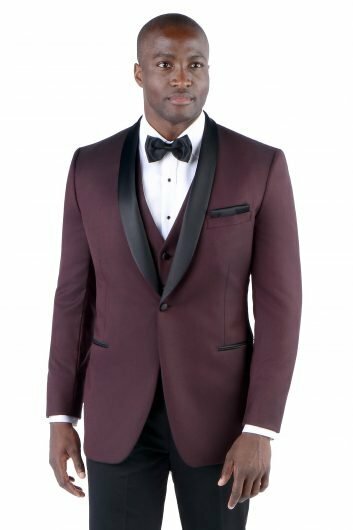 Grab everyone’s attention in the glorious Grey Cutaway by Savvi Evening Collection. 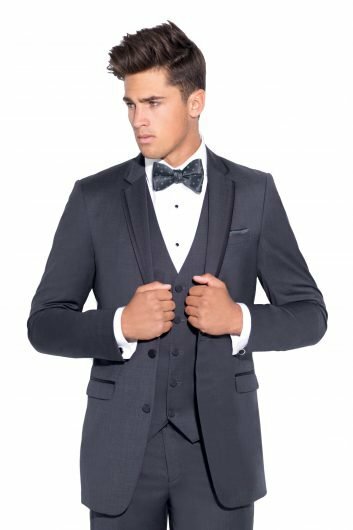 This black tuxedo has a beautiful classic fit jacket with a one button front closure and a pair of black hickory stripe pants. 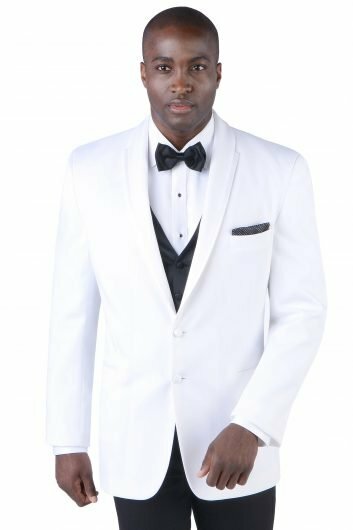 Made with a special kind of comfort wool, you will be breathing easy at your prom, homecoming, wedding ceremony, or any other kind of special event. 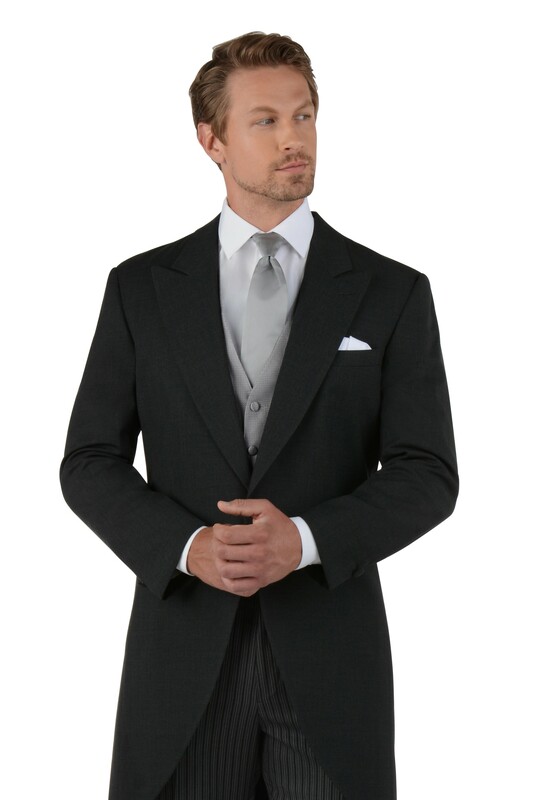 This black tuxedo comes with a side vented back, and a self-faced peak lapel. Don’t miss out on this truly classic look. The Grey Cutaway by Savvi Evening Collection is available now in both adult and child sizes.